Putting together your resume is a daunting task, but it’s even more challenging when your work history is made up of various temp jobs. Knowing how to portray those jobs properly (even in an interview) can help you secure a job. 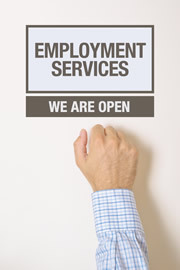 A professional temp staffing agency can help you list those short-term jobs in a way that’s appealing to employers. Here’s some advice that will help you in your search. Most people are worried that temp jobs will make them look like they can’t hold down a job for an extended time period. A professional temp staffing agency will be the first to tell you that it’s all about how you frame your experience. You need to sell that temp experience as an asset to your future employer. So, how exactly can you do that? First off, it depends on the reason you were temping in the first place, but ultimately you can highlight the advantages. Remember that being a temp is not a bad thing. It’s what allowed you to gain countless new skills and learn various software programs. It also forces you to continuously meet and work with new people. All these skills (soft or hard) can be indispensable to a company. It highlights that you’re comfortable in new environments, you’re a quick learner and aren’t afraid of a challenge. Own your temp work history. Don’t try to hide it or bury it in your resume. Use it to your advantage. 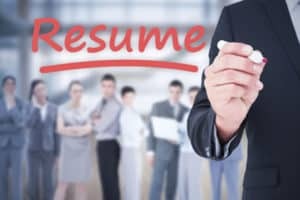 There are several ways you can list your temp experiences on your resume. If they are short assignments, you can list them under the professional temp staffing agency you worked with. That way you can list your various skills under a single heading. Another option is to group your experiences by type of work (admin, customer service, etc.) You also don’t have to list all your temp jobs on your resume. You can include the ones that are more in line with the type of work you’re looking to find. Another great way to highlight your skills is to list your accomplishments. For example, for each accomplishment listed, share the positive result that accompanied it. Demonstrate the successes you’ve had to show potential employers what you’re capable of. Your resume is the first thing an employer will see. It’s your only chance at a first impression. You want to make sure it’s a memorable one. Don’t be afraid to stand out from everyone else. Let the Professionals Coach You in How to Find an Office Job. Unable to Find the Right Fit for Your Skills? Placement Agencies Do The Legwork For You.